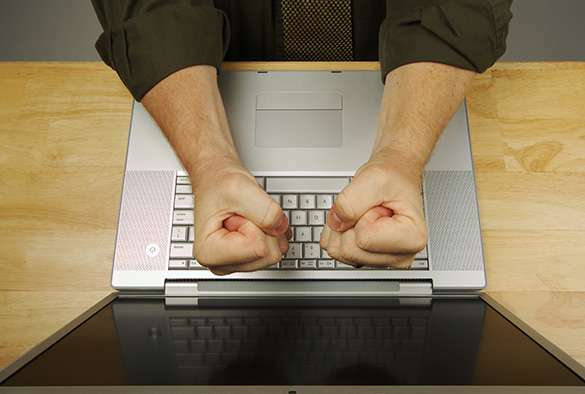 Employers should embrace anger among employees for the vital role it plays in sustaining a just and fair workplace, according to a University of Liverpool academic. Dr Dirk Lindebaum, from the University's Management School, contends that 'moral anger' stands apart from other forms of anger, more usually associated with negative traits like aggression, hostility or bullying. In seeking to supress or eradicate anger all together, employers are missing out on the emotion's "more socially-functional, adaptive and fairness-enhancing components". Writing in the Journal of Organisational Behaviour, alongside Temple University's Dr Deanna Geddes, Dr Lindebaum differentiates 'moral anger' using four key characteristics. The most notable of these posit that expressions of moral anger must be motivated by the desire to "defend others or the greater good, and not just facilitate one's own advantage" and that this desire must subsequently "prompt corrective behaviour intended to improve the social condition, even in the face of significant personal risk". Management expert, Dr Lindebaum said: "Moral anger serves to avoid harm while improving upon or removing an unacceptable situation that violates important moral values. "By prompting helping behaviour, moral anger attempts to reconcile disparity, repair damaging situations, restore equity and improve the human condition." Employee whistle blowing is one possible demonstration of the power of moral anger in the workplace, says Dr Lindebaum. Alongside insider revelations on US radiation experiments using serving soldiers in the first half of the twentieth century, and the activities of US Tobacco, he draws on the example of former US Government employee, Edward Snowden and suggests that Snowden's decision to blow the whistle on the surveillance activities of US intelligence services fits the definition of 'moral anger'. Dr Lindebaum said: "To be classified as moral anger, one's actions must be viewed as ultimately beneficial to society in general, possibly putting oneself at some risk, and to date, Snowden's personal account and current status would seem to reflect this." Organisations are encouraged to differentiate between different kinds of anger to better understand the times when anger is justified, and can be a very useful tool when harnessed to improve the service and function of the workplace. He added: "Increasingly, anger is cast as an expression of deviant, harmful behaviour. "As a consequence, organisational efforts to eliminate expression of anger, including whistle-blowing and other forms of appropriate, morally-justifiable emotional expression at work, can in truth conceal unethical and unjust practices that put individuals, organisations or the environment at risk. "Allowing morally-motivated anger to be expressed can serve as a tool of organisational diagnosis to better our individual and collective behaviours."